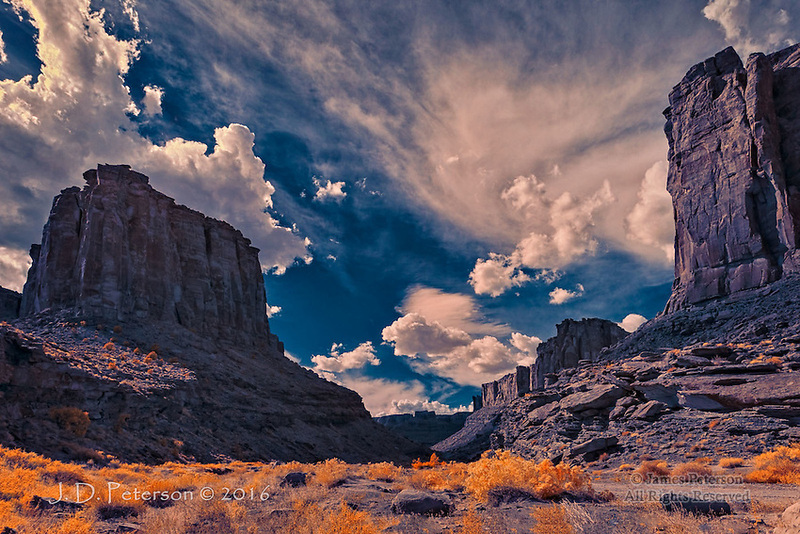 Jughandle Canyon, near Moab, Utah (Infrared) ©2016 James D Peterson. Southern Utah has canyons everywhere, each one with its own unique beauty. This one is a tributary of the Colorado River, into which it empties near Jughandle arch.